Explanation: At the center of our Milky Way Galaxy lies a supermassive black hole. Once a controversial claim, this conclusion is now solidly based on 16 years of observations that map the orbits of 28 stars very near the galactic center. Using European Southern Observatory telescopes and sophisticated near infrared cameras, astronomers patiently measured the positions of the stars over time, following one star, designated S2, through a complete orbit as it came within about 1 light-day of the center of the Milky Way. Their results convincingly show that S2 is moving under the influence of the enormous gravity of a compact, unseen object -- a black hole with 4 million times the mass of the Sun. 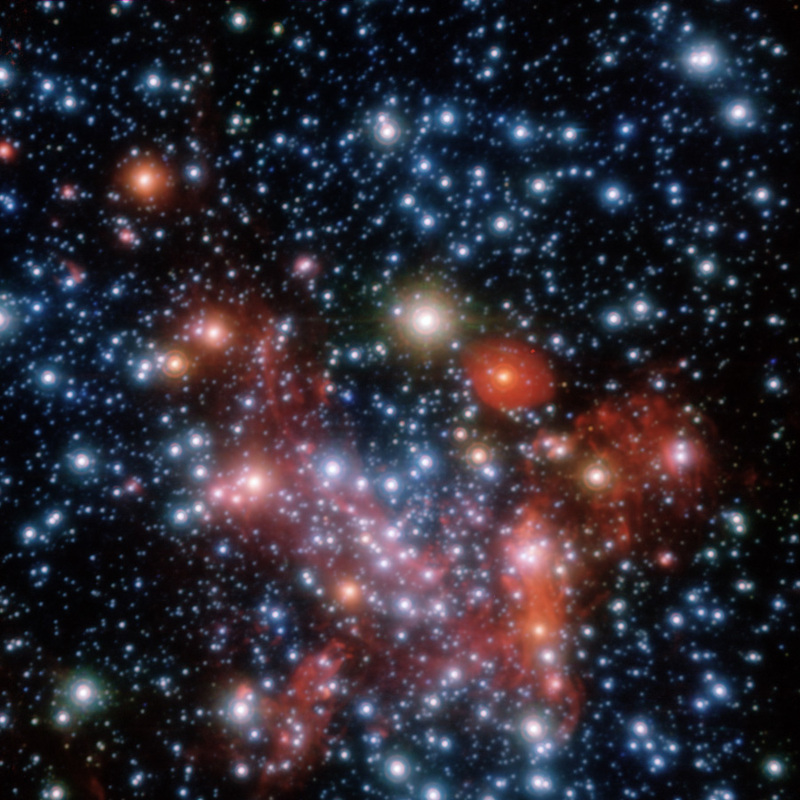 Their ability to track stars so close to the galactic center accurately measures the black hole's mass and also determines the distance to the center to be 27,000 light-years. This deep, near-infrared image shows the crowded inner 3 light-years of the central Milky Way. Spectacular time-lapse animations of the stars orbiting within light-days of the galactic center can be found here.